For the love of your home.....do not let just anyone make changes to your foundation. Replacement windows being installed in wood framing is MUCH different than window replacement in or around poured concrete, brick, or concrete block walls. 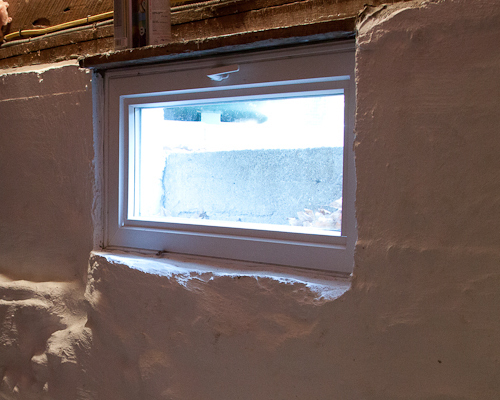 Proper window installation in basements is essential to avoiding cracks, air leaks, pest intrusion and water infiltration. Replacing windows right the first time saves money and aggravation over the long run. If you have any windows that even come close to touching any masonary materials, call us first. In basement areas proper egress is often accomplished using casement windows. Often with these installations window wells can be a particular concern and deserve some extra care. Each project will have its own set of needs but in general you'll want to be careful to have a proper functioning window well that is also aesthetically pleasing. Wonderful products exist in the world of replacement windows. Your choices will only be narrowed by your tastes and budget. Andersen, Marvin and Pella make wonderful products as does a variety of other window makers. Our preferred vendor is a locally owned store that provides us with fast, affordable service and a large range of customization with our orders. Follow Bill Pearn Masonry's board Windows and Doors on Pinterest.